This darling of a mini-Christmas tree will make a beautiful gift for friends or family or coworkers. Spruce up their holiday with this festive floral arrangement that can be enjoyed throughout the holidays. This arrangement is hand-delivered from a local florist. 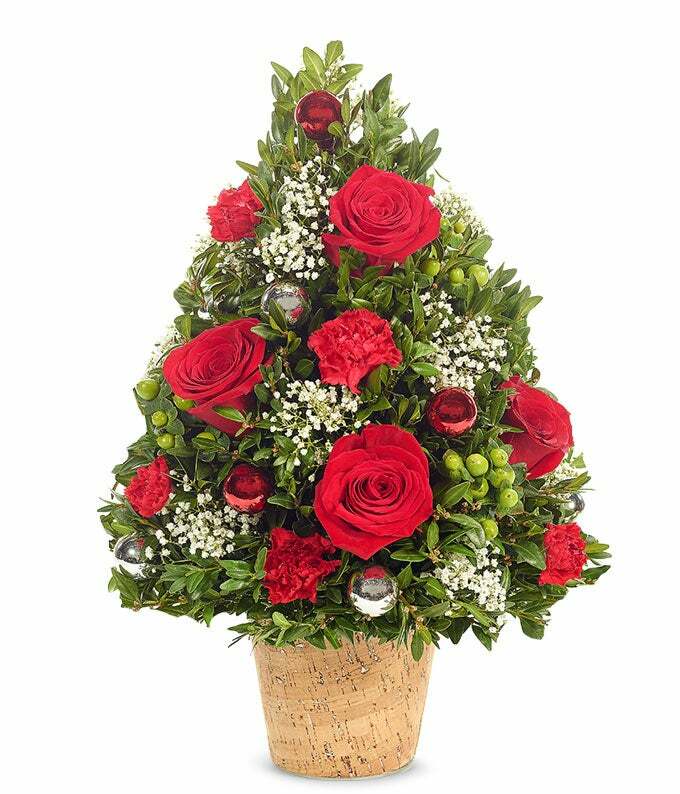 Includes: mini carnations, roses, gypsophila and hypericum in a festive silver glitter container.